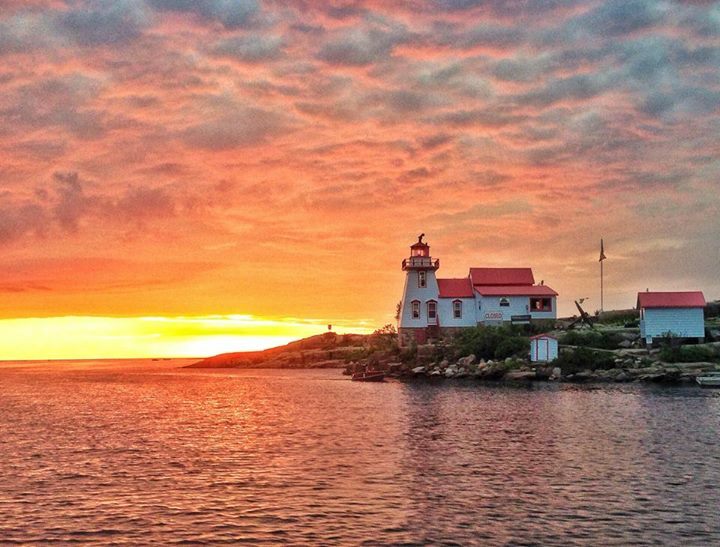 Beacon Marine took its name from the Pointe au Baril Lighthouse which was just around the corner from the marina. 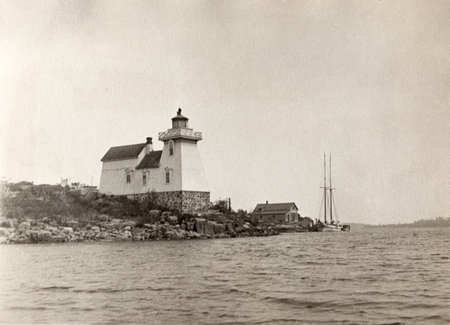 However, the marina wasn't always called the Beacon. 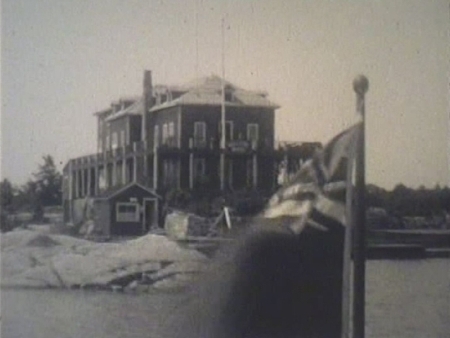 Around 1916, Albert H. Richardson was encouraged to start a boat repair and storage business at Pointe au Baril. 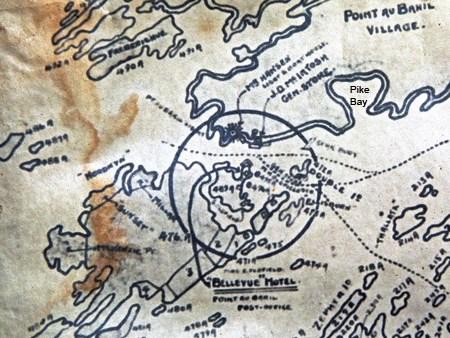 His marina was established in Pike Bay about a quarter of a mile from the lighthouse. Albert's son Cliff began designing and building boats in the 1930s and worked with his father at the marina in the summer. In 1933, Cliff Richardson founded Richardson Boats. 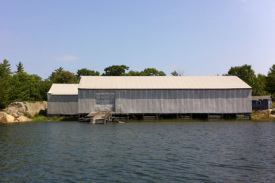 During the winter months, boats were built in Meaford, and the spring, summer and fall were spent at the family marina in Pointe au Baril. 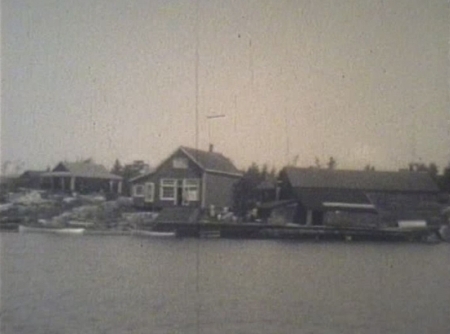 Pointe au Baril, in those days, was actually the community in the area around the lighthouse. 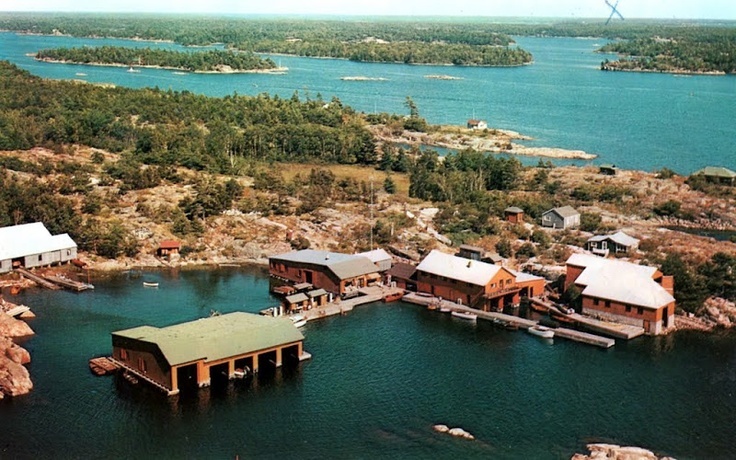 Sometime after the Second World War and probably in the 1950s, Carl Groskorth bought the marina from the Richardsons. The name became Groskorth's Marine and was operated until 1968. Steve Boychuk bought it, named it Beacon Marina, ran it for a few years and then sold it to Norm Goodwin. 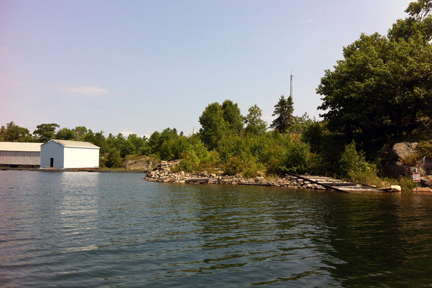 Norm moved the marina from Pike Bay to its current location at Pointe au Baril Station. He passed the business on to his son Lorne who runs it to this day (August, 2014). The marine railway is on the right. This is where the main docks and store were. 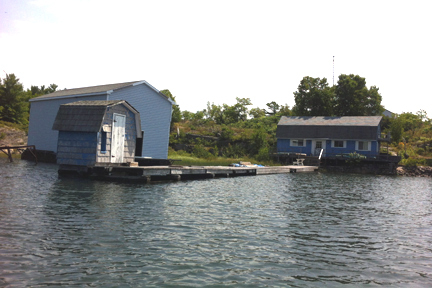 Storage sheds at the east end of the bay. When I was a younger man I had the opportunity to work doing boat repair for Norm Goodwin at "The Beacon", as we called it, for several summers. In those days it looked much as it did in the picture above, except that the colours were blue with white accents instead of orange and black. Norm and I enjoyed many a long and interesting conversation. Norm was one of those wonderful individuals who wasn't afraid to try anything new or different, especially if it made his job easier, better and faster. He was also very resourceful. When the price of western cedar skyrocketed he researched other sources and came up with a considerably less expensive cedar called eastern white. He bought a freight car load and used it for all his new docks. 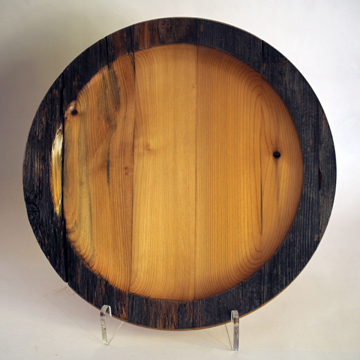 Eastern white cedar does not have the same qualities as western red cedar. It is very soft and not as durable. I had an opportunity several years ago to get some of that original white cedar that Norm purchased and have made a set of 4 chargers from it. I named the chargers after the area and some of the major owners of the marina, namely; "The Pointe au Baril Community", "Albert H. Richardson", "Carl Groskorth" and "Norm Goodwin". Charger from the Beacon Marine eastern white cedar. These chargers are for sale as a set. If you are interested, please go to the price page for more information.